Whether motivated by a green initiative or extra funding, Recycling Advantage is the ideal partner for businesses both large and small. 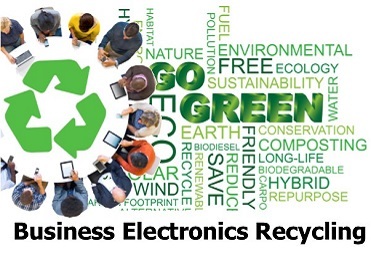 Partnership in our FREE electronics recycling for cash program, offers a unique opportunity by allowing your businesses to reduce the environmental impact your community has on the world. Completely Free! With no start-up costs AND we provide free collection and marketing materials, Recycling Advantage is better than free. Businesses can show their community support! By donating their printer cartridges, company cell phones, obsolete laptops, and other electronics, businesses can help fund schools and non-profit organizations they support. Eco-conscious and sustainability oriented! Whether your business is new to sustainability practices or a has a long standing set of environmental procedures, Recycling Advantage is a great way to stay in line with your environmental policies. 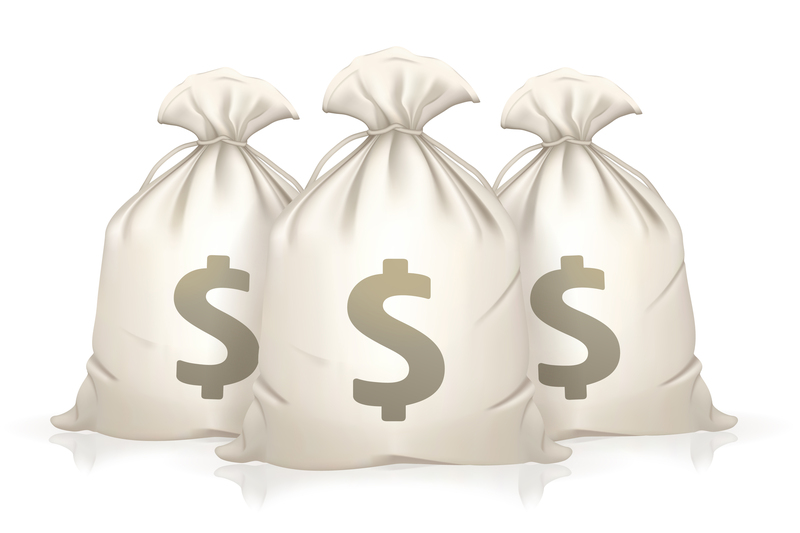 Recycling Advantage electronics recycling for cash is as simple as 1 Collect, 2 Ship, 3 Earn Cash! 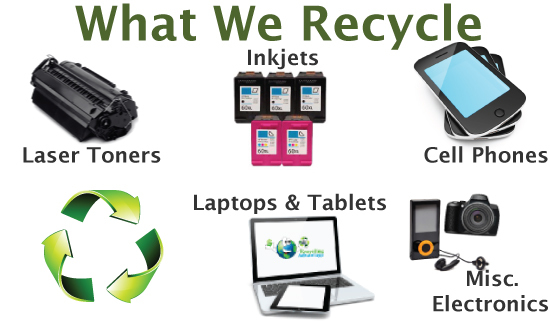 Set up recycling location to collect printer cartridges and cell phones used in your facility. See Examples. Contact IT department about disposal of obsolete technology, such as laptops and tablets. We certify data destruction to Department of Defense standards. Inform staff about your electronics recycling program. Learn more about Promoting. If you are donating your recycling proceeds to a non-profit organization or funding an internal program (ie Green Team or Employee Retirement Fund), encourage staff to bring in printer cartridges and electronics from home in support. All you need to qualify for the FREE shipping program is 25 or more in qualified items or $50.00 in qualified items. See Qualifying Price Lists. Follow the Recycling Advantage Shipping Guidelines to package your qualified recyclable items efficiently. 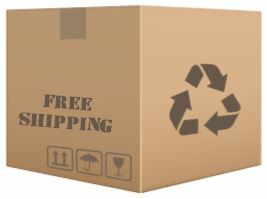 Using the FREE UPS return labels provided, ship your package to Recycling Advantage for processing. Within 30 days, a check will be issued for your qualified printer cartridges and electronics. There is a $15 minimum for payment to be issued. If your payment is under $15, your Recycling Advantage earnings will be banked until they accumulate to the minimum payment of $15. Recycling Advantage works with a large network of Schools and Non-profit organizations for which your donated cartridges would be turned into much needed fundraising dollars.